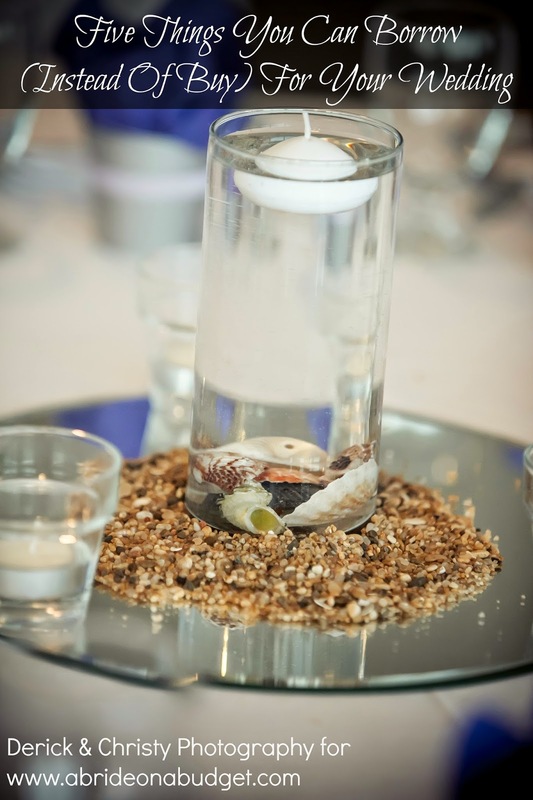 There's been a trend to move away from traditional wedding cake and go with individual and bite-sized treats. We went to a couple weddings in the recent past with cupcakes instead of wedding cakes. And, although cupcakes were the hot trend for a while, you might be trying to catch the next trend. What about whoopie pies? 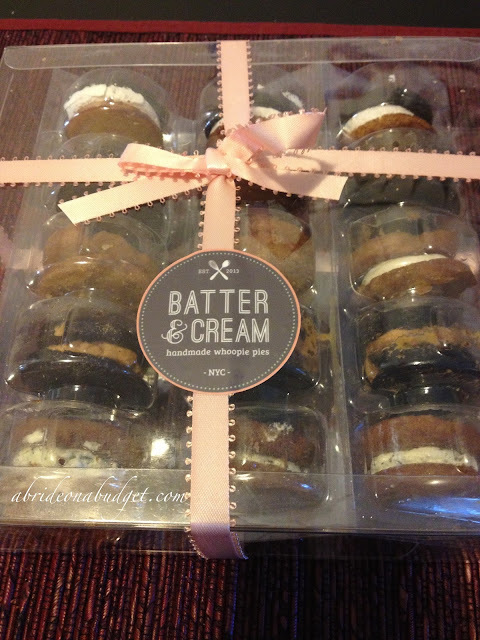 When I was first contacted about a review of Batter & Cream whoopie pies, I didn't know this was a thing. I had heard of them and had them when I was a kid, but I didn't know they existed outside of preservative-heavy packages in supermarkets. In fact, when I was talking to Pete's dad about them, he didn't even know a whoopie pie existed so here I was, thinking we were the first to hear about these for weddings. In fact, one glimpse at Pinterest shows that there are actually other people in this world who have heard about whoopie pies for weddings. 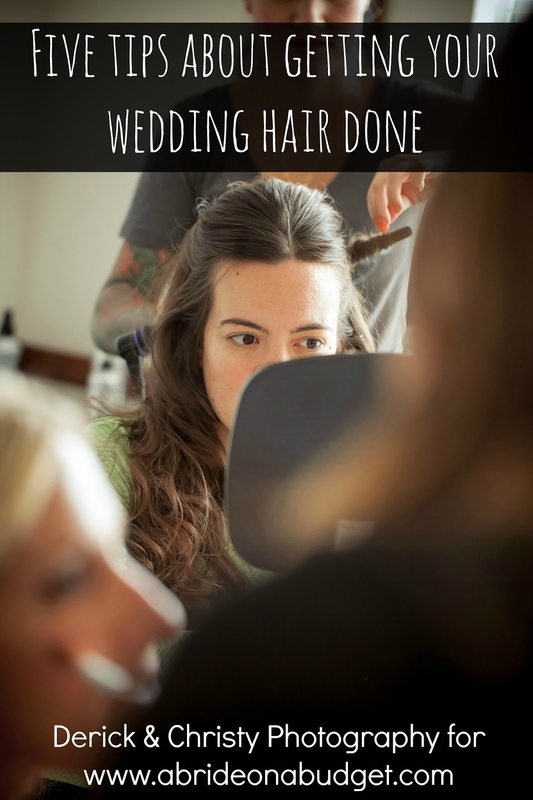 But, honestly, how did people get married before Pinterest? 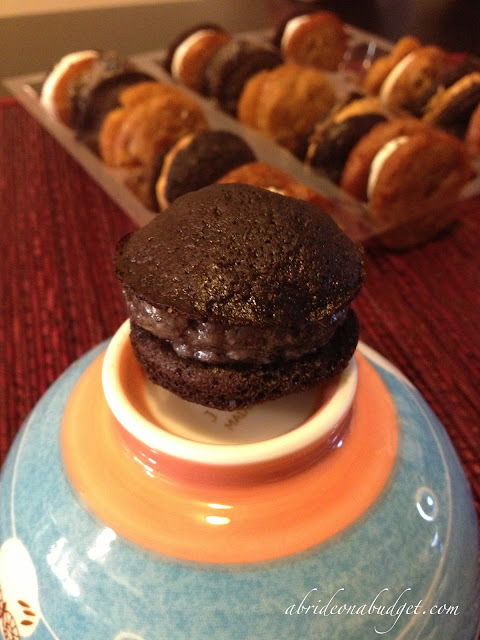 If you are like Pete's dad and haven't heard of a whoopie pie, it's more of a cake than a pie. There's no pie crust. It's two cake layers with filling between. So it's more like a cupcake than anything else. Plus, Pinterest taught me the right way to eat a cupcake is to cut the cake part in half and stick the bottom on top so the frosting is in-between. 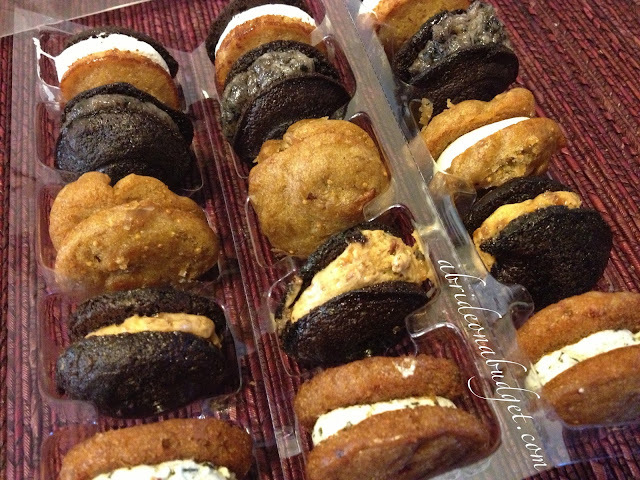 Whoopie pies save that step. These whoopie pies arrived in a plastic container holding 15. There were five different varieties and we got three of each (which was great because Pete, his dad, and I were the ones having them, so we could have one of each). They weren't labeled but we did get a card with various flavors and we were comparing what the photos looked liked with what we had in our hands. The pies were shipped from New York, and the shipping package says it was shipped with dry ice (although, I'm gonna be honest: We weren't so sure about that. They came in the packaging in the top photo, and that was in a silver, padded envelope. We didn't see any dry ice packaging, so unless the dry ice was in that padding, we didn't find it). Because they traveled to North Carolina, the frosting arrived a little melted. A quick stay in the fridge changed that. I'm not sure if there is a proper way to enjoy whoopie pies, but I would definitely say chilled. This is good too because if you do order these for your wedding, you can have them shipped to your venue and immediately refrigerated. You can serve them chilled -- and it will give the centers a little time to stiffen. The pies were great. The actual cake portion was really moist. They weren't overly sweet, which is just how we like our desserts. The mini cakes were just shy of two inches (yes, we measured) so they were the perfect size to pop into your mouth (although I did eat mine in three bites). I would definitely overestimate the amount your guests will eat, if you do decide to have these in lieu of cake. 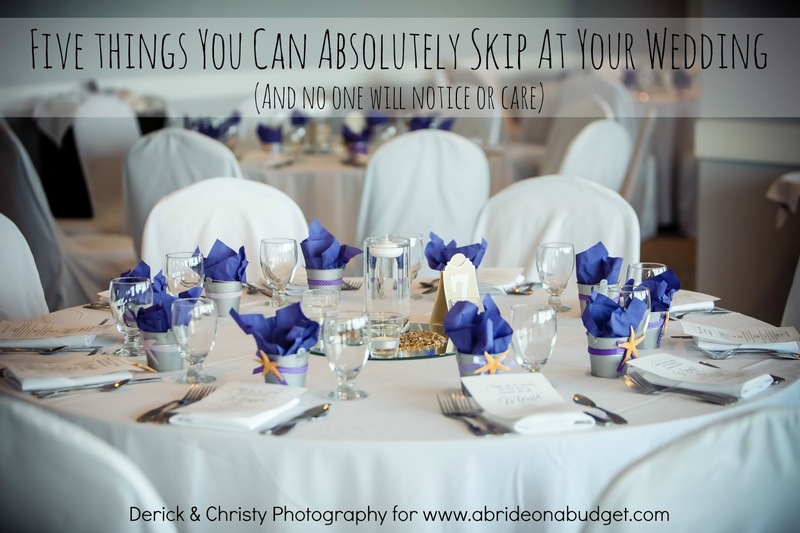 They are really easy to grab and enjoy, and your guests definitely will. Batter & Cream has a bunch of flavors, but I would advise you to limit to two choices. That way, you can kind of suggest (without saying it) that your guests only grab two. If you have five flavors, they might grab five so they can try them all. My favorite of the ones we got to try was the chocolate one. Looking at the website, I would think it's the Chocolate & Orange Zest, but none of us tasted any orange zest. A very close second was the Fig, Honey, and Goat Cheese whoopie pie. It was fantastic. Such a great mixture of flavors -- and yes, it's a great dessert profile, even though reading that might have you think otherwise. You can do a cake tower filled with these pies and then a traditional cake on top for your cake cutting. Or, heck, just get a six-inch whoopie pie instead of a six-inch round cake and cut into that! And if you want to try these at home, you could pick up a whoopie pie pan at this book -- Whoopie Pies: 30 Recipes for Treats for Every Occasion -- and see what delicious combinations you can dream up. 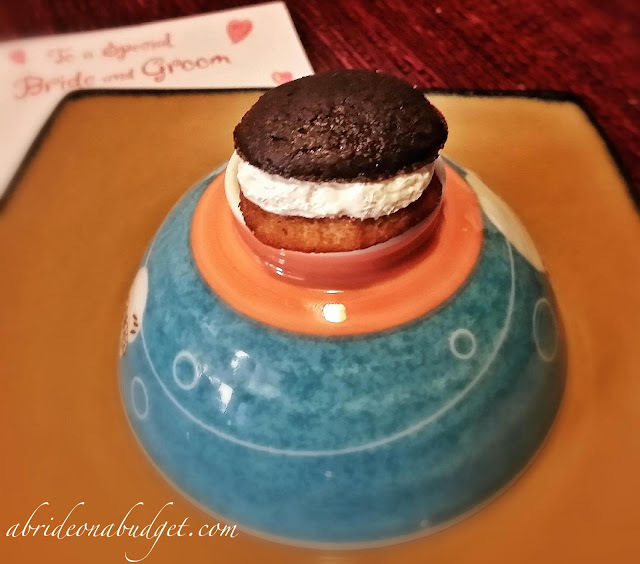 BRIDAL BABBLE: If you were creating a whoopie pie, what cake/filling flavor combination would you make?